Daily views of snow capped peaks. fabulous walks a wonderful and exciting circuit. 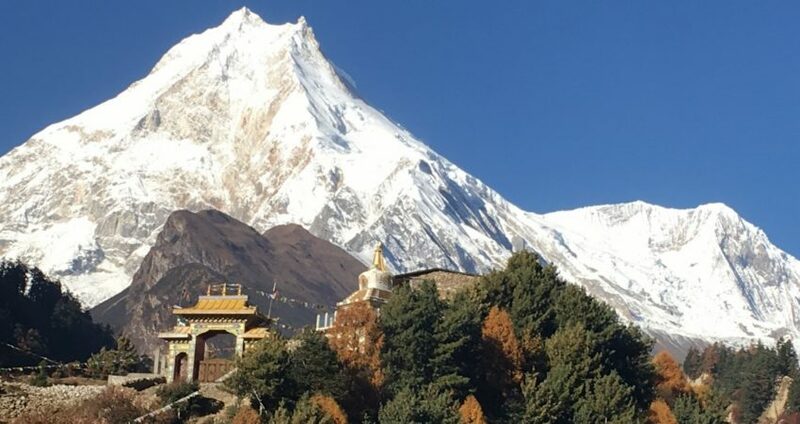 17 Days Around Manaslu Trek is the trek to world 8th highest peak Manaslu 8,163 m from sub-tropic temperature to high cold arctic zone with amazing landscapes. 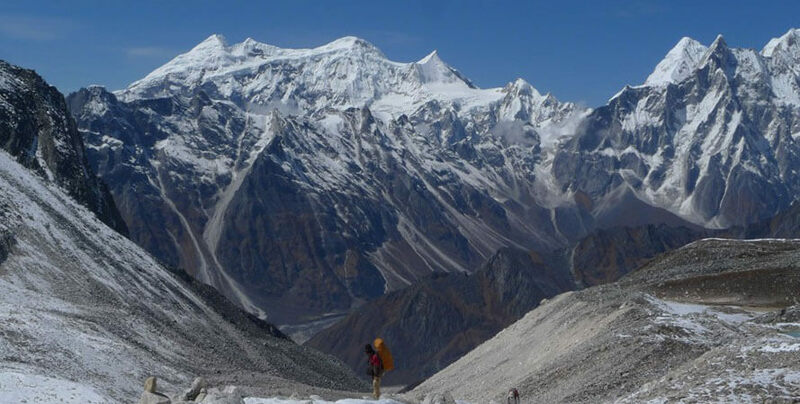 Around Manaslu Trek with Larke pass trip in 17 days to explore the scenic Himalaya, Around Manaslu where you can trek within beautiful views of high snow-capped peaks in the shade of unique culture of high Manaslu areas which is similar to the Tibetan traditional way of life as it was for many centuries. this wonderful walk includes beautiful serene alpine woodlands filled with rhododendron-hemlocks-pines-firs-magnolia-juniper and oaks tree lines, where tree lines fade for short alpine bushes as the trek leads towards dry and arid landscapes towards Samagaon and Larkya Phedi. the further walk leads above Larkya-La with incredible scenery of high mountains includes all Manaslu range of peaks with Himlung and Larkya peak close by and then back into lush vegetation and tree lines reaching at famous and popular Annapurna Circuit Trail at Dharapani. Finally, our overwhelming walk Around Manaslu Trekking concludes with a drive past Lamjung areas to reach Kathmandu, after a memorable and exciting adventure on Around Manaslu Trekking. An exciting scenic circuit around world's 8th highest massive Mt. 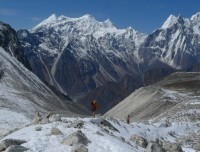 Manaslu. Exploring colorful traditional villages and monasteries of different cultures. Highest altitude 5,135 m at Larkya-La Pass. 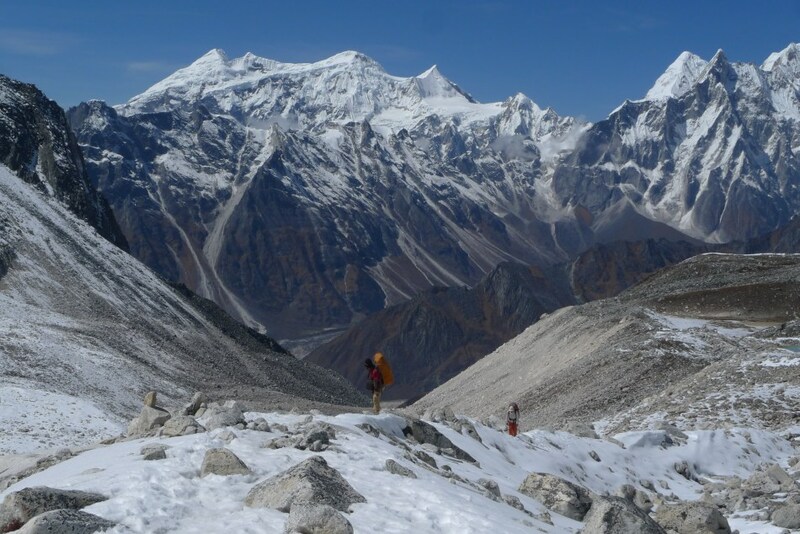 Around Manaslu Trekking, a fabulous walk a wonderful and exciting Trek. 1 Arrive in Kathmandu via respective airlines and transfer to hotel.On arrival at Kathmandu international airport, you will be well received by Reasonable Treks & Tour staff and guide and then transfer you to your hotels within the hub of Kathmandu city around the most happening and exciting place around Thamel. An evening after checking into your rooms with refreshment our guides will brief regarding Around Manaslu trekking and with welcome dinner in a nice authentic Nepalese restaurant with culture show. 2In Kathmandu sightseeing tour at places of interest and trek preparation.Morning after breakfast leave for our exciting cultural and historical tour around Nepal’s best World Heritage Sites which includes old Durbar Square (Palace Courtyard), Old Swayambhunath Stupa and other places of interest with time for trip preparations. 3 Drive to Soti-Khola 730 m via Arughat 600m - 07 hrs journeys.Around Manaslu Adventure begins with an interesting and exciting long overland drive on Nepal’s busy highway to reach at Dhading Bhesi a large town headquarters of Dhading district, after Dhading heading to Arughat town by the River Buri-Gandaki, drive continues on rough road following Buri-Gandaki upstream from Arughat bazaar to reach at Soti-Khola for overnight stop in the comfort of local lodge.arughat town and Soti Khola an active village of lower Gorkha district with many shops and stores, where villagers of surrounding Gorkha and Dhading areas visits for shopping local commodities. 4 Trek to Machha-Khola 930m - 06 hrs.From this village, starting our walk following Buri Gandaki River upstream through many farm villages, crossing over Nuali khola with views of waterfalls and then cross a stream to Machha Khola for overnight stop, village with a name as Machha Khola meaning “Fish stream”. 5 Trek to Jagat 1,410m - 06 hrs.After pleasant overnight at Macha-Khola, morning walk follows Buri-Gandaki River upstream, to reach Khorla Beshi a small farm village from here on winding path to reach at Tatopani village with “Hot Spring,” an opportunity for hot bathe as time allows. After a nice rest walk carries on passing Dovan and Yaruphant villages to reach at Jagat for overnight stops, Jagat a moderate size farm villages with shops and stores. 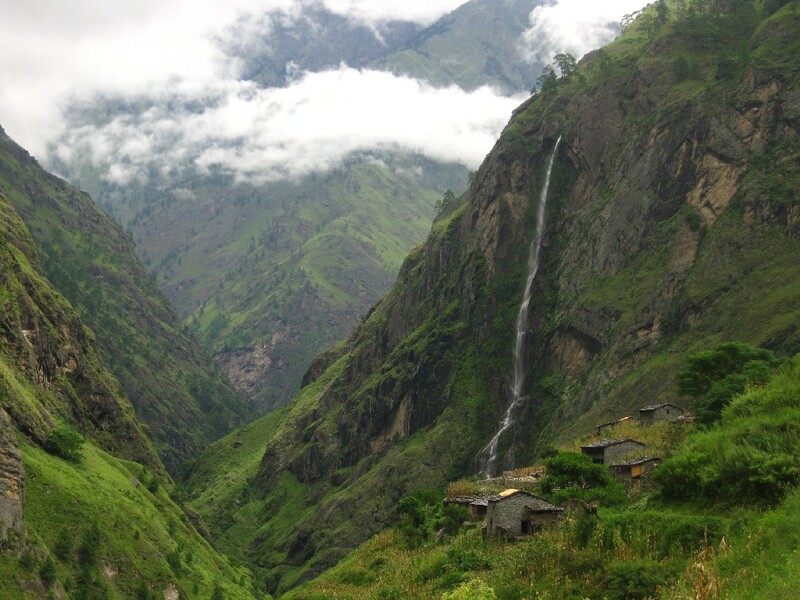 6Trek to Dyang 1,800 m - 06 hrs.From Jagat, morning walk leads to higher areas passing scattered farm villages with short climb and downhill to cross over a bridge to reach at Nagjet and Philim, a large village with spread-out farm houses. After Philim walk through farm terraces of golden fields of wheat’s and barley, then a climb on rocky ridge top into bamboo forest area to our overnight stop at Dyang village. 7 Trek to Ghap 2,160 m - 04 hrsMorning walk from Dyang leads to cooler area where you can feel slow rise in altitude, on entering Himalayan alpine region, walk downhill to a river side to reach at Bihi Bazaar a small village near a river side. from here onwards encountering more villages of strong Tibetan culture, walk leads on gentle trail with few short ups and downs till Ghap village is reached for overnight stop. 8 Trek to Lo-Gaon 3,180 m - 06 hrs.From Ghap village with nice good walk following Burhi Gandaki River, then crossing this river through small farm villages and cultivated farm fields of barley, wheat and millets to reach at Numrung village with first close views of Mt. Manaslu North Face and adjoining peaks. Walk continues passing few villages of Banjham, Lhi and Sho, then as altitude gains with an hour up to Lo-Gaon for overnight stop in a nice cozy lodge. 9 Trek to Sama-Gaon 3,530 m - 05 hrsAfter Lo-Gaon tree lines fades only for few short juniper bushes and some willow trees, walk leads on nice path with views of peaks and finally the day ends at Sama-Gaon for overnight stop, this is a large mountain village located on route Manaslu base camp, Larke-la pass and to Tibet border. 10 Rest day at Sama-Gaon for acclimatization.A necessary rest day for acclimatization before heading over Larke-la pass, at Samagaon explore around this interesting village of Tibetan culture. 11 Trek to Samdo 3,860 m - 05 hrsToday walk leads to last village of Manaslu area at Samdo which lies close on route Tibet border, the villagers of this area have long history of trading with Tibet, the trade still continues as you can find many Chinese goods around the village shops and stores. 12Trek to Dharamsala / Larkya phedi 4,470 m - 04 hrsA short day walk to Larkya phedi or Dharmasala, after a nice overnight at Samdo village, morning walk leads towards more dry and barren country. As the altitude gains slowly with few short ups and downs then completing the morning walk at Larkya phedi, means base of the hill or pass with afternoon free to relax or short walks. 13 Cross Larkya-la 5,135m and to Bimthang 3,720 m - 08 hrs.Main goal and highlight of the adventure, starting early reaching at the top of Larkya-la pass at above 5,135 m, a long climb with views of surrounding mountains Mt. Manaslu, Larkya peak, Bouddha Himal, Himal-Chuli and Peak 29. After a strenuous climb reaching the pass, our highest point of the trip marked with Buddhist prayer flags, offering super views of surrounding great giant peaks, after a short rest enjoying the views a long descend leads to Bimthang for overnight stop a beautiful place surrounded with forest of tall rhododendron and pines trees. 14Trek to Gho 2,560 m - 05 hrsAfter a hard and tough walk of previous day, today an easy trek on downhill path most of the way to Gho, located in the midst of a lovely forested area, as our walk lead through woodlands of rhododendron, pines and oaks tree lines passing several farm shades to reach at Gho for overnight stop. 15Trek to Dharapani 1,860 m - 06 hrs.From Gho within lovely alpine forest, last day trekking on downhill most of the way to Tilje village on Marshyangdi River, after Tilje an hour climb to Dharapani one of the largest village with many good lodges located in Manang district within popular Annapurna Circuit trekking trail, here with time enjoy the afternoon exploring the village. 17 International Departure for Homeward bound.As per your international flight time transfer towards Tribhuvan International Airport for the journey back home or to respective destinations after a super and amazing time in Nepal Himalaya around Manaslu Trekking. 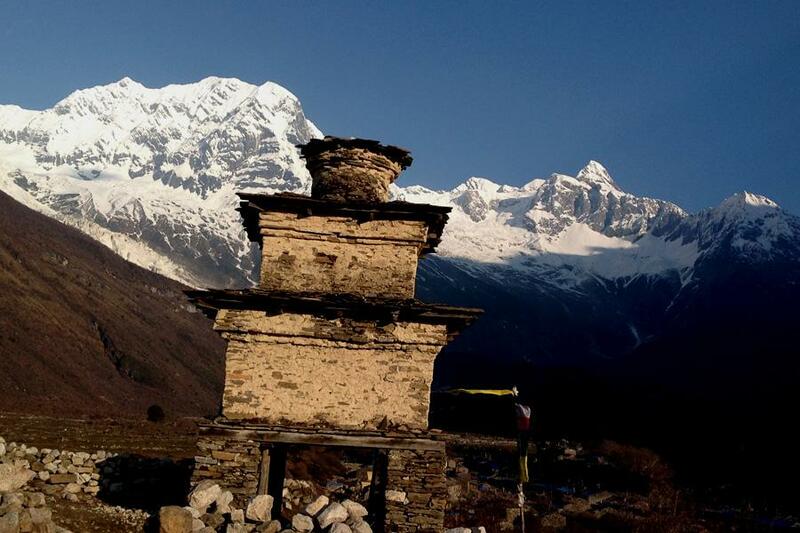 This is my first Time Nepal we did 17 days Around Manaslu Trek, with Reasonable Treks & Tour Pvt. Ltd / Anil Dhungana provided Very Helpful And professional assistance in planning for Around Manaslu Trek, he’s is Organization for 17 Days Around Manaslu Trek, Mr. Anil He is Recommendation Trekking Guide and porters, he’s is Guide and porters very friendly And honestly Guide he gives to everything information details on the way I Show village and mountain. Really enjoyed the Around Manaslu Trek, Thanks to Guide And porters we want to highly recommend this company and staff for other travelers. Thank you so much, Mr. Anil, we really happy for your Trip. We will back Next Time!! 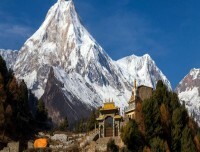 Hotel and Accommodation on Around Manaslu Trek. While in Kathmandu at 3 star Hotels (Attached Bath Room A/c,24 hours running hot and cold shower while you are Around Manaslu Trek Day Beging Breakfast at Lodge teahouse Thy are clean and comfortable bed and the rooms are basic, normally just a bed with a pillow and blankets .every day 3-4 hours trekking and break for lunchtime, after a relaxing lunch, you typically spend around 2-3 hours or even more sometimes on the trail before reaching your stopping point teahouse . Transports used on Around Manaslu Trek. Reasonable Treks And Tour Will Provide Private Vehicles and tourist bus for The Airport transfer, Kathmandu Sightseeing Tour in Kathmandu and drive from Kathmandu to Soti-Khola and return back to Kathmandu. Meals and Drinks On Around Manaslu Trek. The meals are included in our package of the Around Manaslu Trek and They are taken in lodges, we will have breakfast and dinner at the lodge where we stay overnight and our guide will choose and stop For lunch on trek and we recommend you to bring water purification pills since you will have normal water for free, then you can have the normal water and use the medicine and drink however you have options of buying bottled water or boiled water in every place as well. There will also be farewell dinners for guests in Kathmandu. Electricity and battery charges on Around Manaslu Trek. There are electricity available in some of the villages on our Around Manaslu Trek where you can recharge your camera, batteries, mobile Phone and there is solar power in some villages. we trek through and you can recharge your batteries camera mobile Phone in those places as well if they have enough power and we suggest you to have spare batteries as well and you will have to pay some for recharging batteries. Luggage/Bag pack on Arou on Around Manaslu Trek. Your main luggage will be carried by porters on Around Manaslu Trek And you simply carry a day pack with water bottle, camera, sun-screen, spare jacket, and etc, during the trek, as small loads allows you for full enjoyment of the trek. A trek bag is ideal for your main luggage, plus a small lockable bag for travel clothes or anything that you do not need during trek which you can leave at hotel’s locker room/safe deposit box in Kathmandu for free of charge. Guide and Porter on Around Manaslu Trek. Reasonable Treks And Tour organize Around Manaslu Trek for single people to maximum 13 people at once or even if you have more than 13 people then we can split the group in to two or more groups (according to the number of trekkers) however you all can walk together and stay at same guest house and there are only different guide, and there are 1 guide up to 9 people and 2 guides for 10-13 people and One porter for each 2 Trekkers. Personal expenses on Around Manaslu Trek. Personal expenses depend largely on your habit and as the meals are included on our Around Manaslu Trek cost ,so, you only need money for table drinks (alcoholic/non Alcoholic beverages), snacks while walking (some smaller shops are available along the trail in the areas), tips, souvenirs, hot shower (available in some places), and Meals ( A meal cost 5-7USD in Kathmandu) for your Kathmandu stay, entrance fees ( approx: 25USD) while your tour in Kathmandu, if you Do not drink alcohol and sopping then 12-15USD per day should be enough for the hot drinks, shower and snacks on trek and Tips are appreciated by your support Team after the trek. The amount depends on your budget and appreciation of their work. As a suggestion, we advise you to allocate 15 - 20% of the total tour cost as Tips to the staff and you can do this if you feel the services have been good. It's not necessary to spend a lot of money buying equipment for the Around Manaslu Trek in your country as Majority of these gears can be bought at Reasonable Cost in Kathmandu. Best Time to Trek Around Manaslu. The best time to trek to the Around Manaslu Trek is spring March, April, May, and autumn August, September, October, November. The temperature is moderate in these seasons and guarantees amazing views through the trip. Although this trek can be undertaken during winter, the cold temperature might not be suitable for everyone. In case of a serious sickness or a casualty while you are on Around Manaslu Trek (which we believe will not happen), we will do everything to transfer you to the Nearest hospital to save your life (this has happened to us few times) and you are entirely liable for all the expenses incurred in evacuation/rescue, so, please make Sure that these expenses are covered by your insurance policy before assigning for the trek or be prepared to pay on your own after getting back to Kathmandu. Ensure That you’ve insured yourself before doing the trip, Common sense dictates this, it’s good for you and please visit Nepal Travel insurance page for more info about it. Meals: Breakfast in Kathmandu All meals during the trek.